If you want the highest quality sound use real solid woods. Solid woods cure as they age giving them a better sound year after year. Many leading guitar manufacturers offer almost-identical models featuring a choice between solid wood and laminate. Cosmetically, it’s hard to tell them apart. Pick each one up however and a different tale is told. As laminates are at least partially made from glue, they simply cannot have the depth of tone and sustain that solid wood models do. A solid guitar resonates longer, and the sound is much more consistent. The other advantage is durability. You want your guitar to last. A solid wood guitar will better handle the normal dings and scratches that result from long-time use and still sound better year after year. 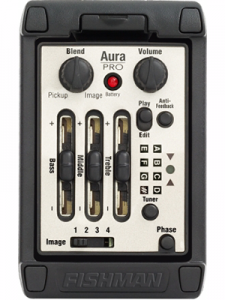 The #1 rated electronics systems used on acoustic guitars today. Our acoustic electric models allow you to plug into an amplifier or PA system and play them like full electrics essentially giving you two guitars in one. Unplugged they sound exactly like our full acoustics so there’s no acoustic sound loss. They also have built in auto tuners that tune your guitar in a fraction of the time it takes using conventional tuning methods. Our touring artists appreciate this as it saves time on stage and for beginning players the auto tuners actually train your ear so you develop a perfect sense of pitch. 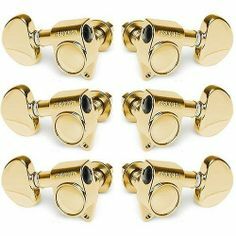 The #1 rated tuning machines used on acoustic guitars today. Lifetime warranty. Break a tuner and we’ll replace it free for life. Denny uses only real bone nuts on his guitars and hand carves each one for each individual guitar. In doing so he cuts the string notches a millimeter further apart which creates more room for your fingers. Many players think Zager necks are wider but that would make playability worse as a wide neck is harder to get your hand around. 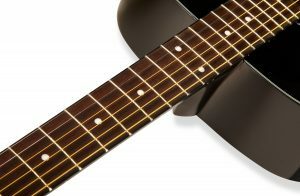 Wider string spacing gives your fingers more room so you’re not leaning on adjacent strings creating buzzes and rattles. This not only makes your guitar easier to play but it also gives you more speed and accuracy. Players say they can move faster with fewer mistakes on Zager guitars and this is one of the reasons why. Lifetime warranty. Break a nut and we’ll replace it free for life. Denny uses only real bone saddles on his guitars and hand carves each one for each individual guitar. Here Denny adjusts string heights and intonation levels to bring your guitar harmonically in balance with itself. This not only reduces string height making your guitar easier to play, but it also makes it sound more powerful. Customers say our guitars fall in tune easier and stay in tune longer, this is one of the reasons why. Lifetime warranty. Break a saddle and we’ll replace it free for life. 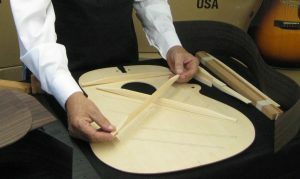 The technique of scalloping or shaving the braces can have a huge impact on the power and tone of an acoustic guitar. By reducing the thickness of the brace it becomes more flexible and therefore lets the top move more freely creating more sound. When done by a master builder the brace maintains its structural integrity, while making the top more efficient. The result is faster attack, longer sustain, more bass, more power, and an overall improvement in the whole tone system. 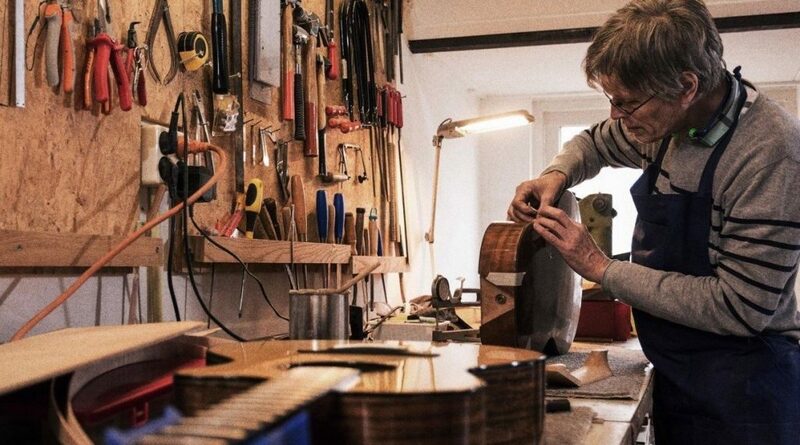 Denny hand files the frets on all of his guitars and uses a special softer grade of metal in building his guitars that’s easier on your fingers. By filing the frets Denny achieves two important things. 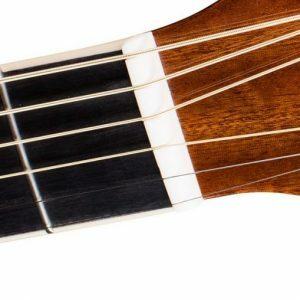 When sliding up and down the neck your fingers will no longer get irritated and sore and you won’t suffer from “string bite” and overall finger fatigue. Secondly, when you file the frets by hand each fret will have the same uniform height. 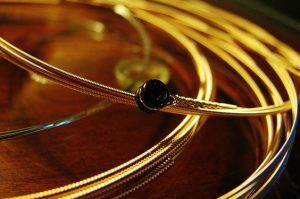 9 times out of 10 when you have a buzzing string it has nothing to with your playing, it’s because you have a guitar with a fret that’s sitting away from the fret board hitting a string. 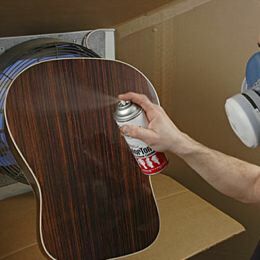 Many guitar builders use a thick gloss finish to protect their guitars. 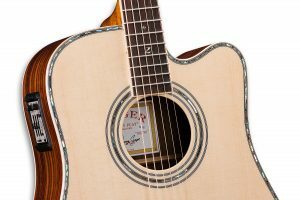 While their intentions are good, a thick finish actually harms the sound quality as it muffles a guitars vibration and blocks the aging process. Denny uses a special high gloss thin finish that provides the same protection as a thick finish but it’s extremely light and elastic and allows movement of the body. This is a crucial point in both the sound of the guitar and its ability to age—which is what makes a guitar sound better year after year. Many high quality guitar builders these days are using ebony on their fret boards which is a quality wood, but it’s very dense in nature. Denny uses only Bolivian rosewood on his fret boards which is a little more costly, but he does it for two important reasons. 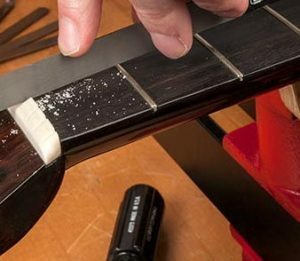 Frets have a higher propensity for springing an ebony (due to its denseness) and to the dedicated ear ebony fret boards actually put off a slightly tinnier sound then rosewood which is tonally richer and warmer in character. Abalone and pearl inlay is found on only the highest quality guitars. Laid by hand one piece at a time the color and translucence of each piece changes with different amounts of light. Zager custom strings are designed by Mr Zager exclusively for his Guitars. We have players using all brands and gauges of strings on our guitars with excellent results, but these are the strings our customers seem to like the most. Hand wound daily in our shop in Lincoln, Nebraska.